Humidity controlled crisper drawers can be adjusted to low humidity to prevent fruits from spoiling and high humidity to keep greens fresh and full of moisture. The crisper drawers can be configured to fit side-by-side or stacked to create fridge space that is best for you. Your refrigerator is flush with your cabinetry, creating a seamless, sleek look. This style is great for establishing a stylish kitchen and for maximizing space. With the cabinet depth design you get over 4 inches of kitchen floor space back without sacrificing refrigerator performance. LED lights placed throughout the fridge provide bright, corner to corner lighting allowing you to see everything in your refrigerator. Plus LED lighting is energy efficient and is made to last a long time. Quickly freezing meats and produce locks in flavor a reduces the risk of spoilage. With the touch of a button the Powerplus® Freeze feature quickly drops the temperature to freeze foods fast and to prevent foods that were already in the freezer from defrosting and losing flavor while you were putting new items in. Foods release odors into the refrigerator and stronger items like onions and garlic can release odors that can affect the other products in your fridge. The PureAir® filter works to clean up those odors so your food and refrigerator can stay so fresh and so clean. Kids can sometimes forget to close the door all the way, and sometimes you might too. 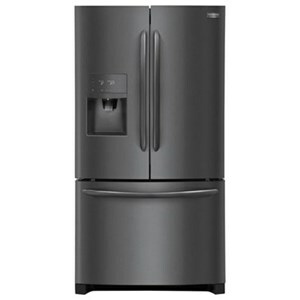 If the door is left open or the temperature rises, the refrigerator will alarm will sound. The full-width drawer provides extra storage space for platters and snacks. Located at the bottom of the fridge, it is easily accessible. Sometimes there are things that don't easily fit into the fridge or sometimes the fridge is packed with food. Adjustable door bins and shelves, Full-Width Drawer and stack-able Effortless Glide Crisper Drawers provide countless ways to organize the refrigerator to meet your needs. Located on the side of the refrigerator, the control doesn't get in the way of any items. The slide control allows you to easily select the temperature that you desire. Remove 99.3% of lead and 99.9% of cysts from your household water with a genuine water filter. Our EvenTemp™ cooling system keeps food cool without breaking a sweat, distributing air effectively so groceries stay at the right temperature. Good freezer organization is essential to storing as much as possible without wasting space. The SpacePro™ Freezer System features four shelves, two baskets and three door bins. 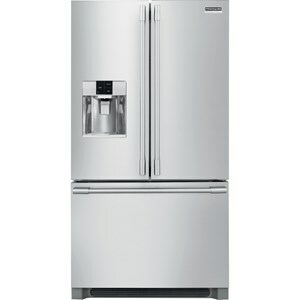 The Professional - French Door Refrigerators 22.3 Cu. 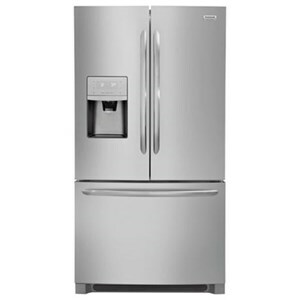 Ft. French Door Counter-Depth Refrigerator by Frigidaire at Colder's Furniture and Appliance in the Milwaukee, West Allis, Oak Creek, Delafield, Grafton, and Waukesha, WI area. Product availability may vary. Contact us for the most current availability on this product. 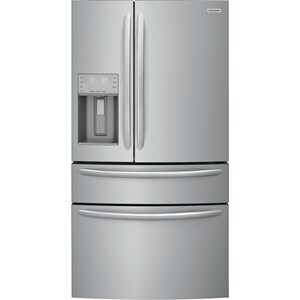 Capacity: Refrigerator 15.5 Cu. 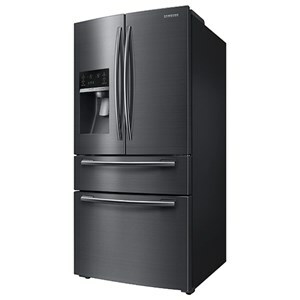 Ft.
Capacity: Freezer 6.8 Cu. Ft.
Capacity: Total 22.3 Cu. Ft. Shelf Area 25.7 Cu. Ft. 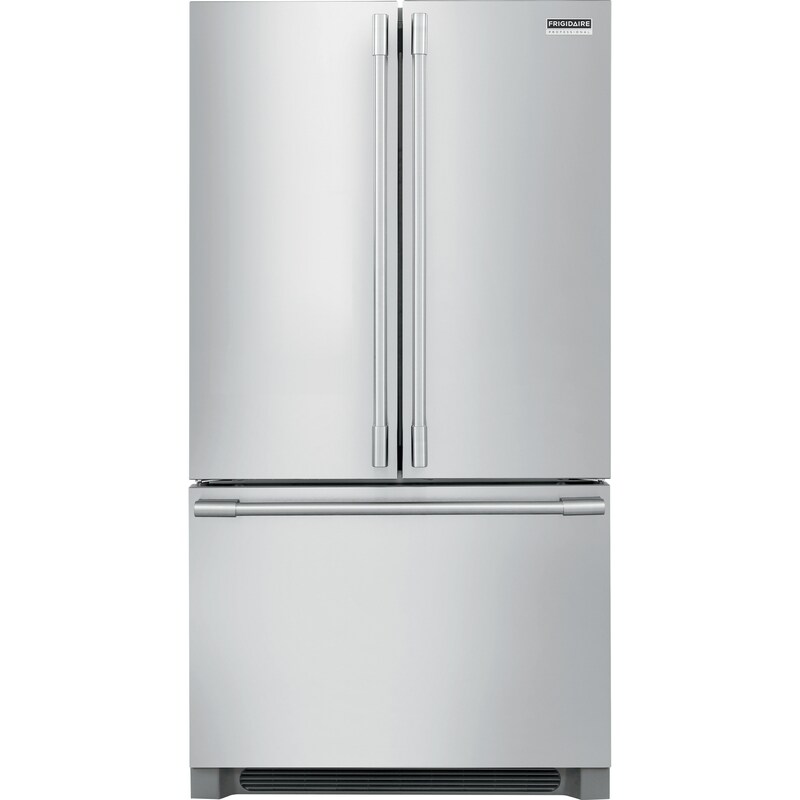 Depth with Door at 90° 42"
The feeling of a professional kitchen in your home, Frigidaire Professional series appliances offer more power, greater precision and heavy duty-design. Large capacities with flexible storage allows you to get the most out of your refrigerator space. Air flow technology, adjustable temperature drawers and humidity controllable drawers help preserve the life of food, avoiding waste and preserving freshness. Professional design including counter depth options, Smudge-Proof™ stainless steel and trim kits bring the high end restaurant look to your kitchen. 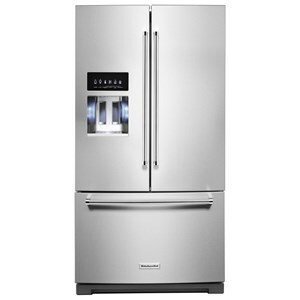 The Professional - French Door Refrigerators collection is a great option if you are looking for Appliances in the Milwaukee, West Allis, Oak Creek, Delafield, Grafton, and Waukesha, WI area. 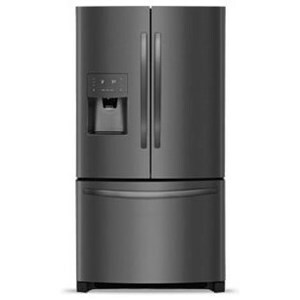 Browse other items in the Professional - French Door Refrigerators collection from Colder's Furniture and Appliance in the Milwaukee, West Allis, Oak Creek, Delafield, Grafton, and Waukesha, WI area.